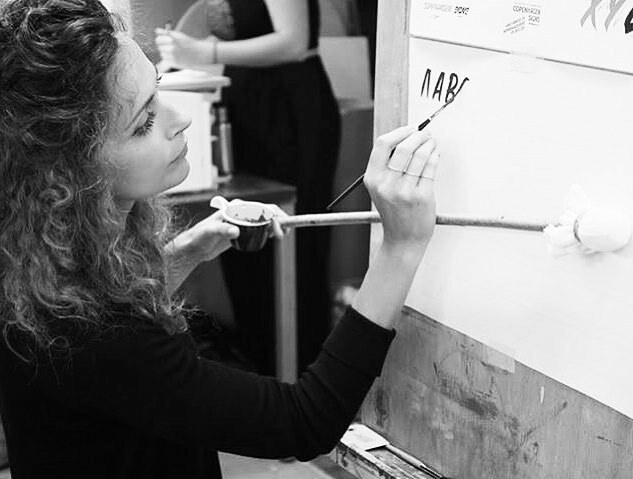 Established in 2018, Lettera E studio is jointly owned and run by Eloisa Libera. Lettera E is a Milan-based creative consultancy studio. 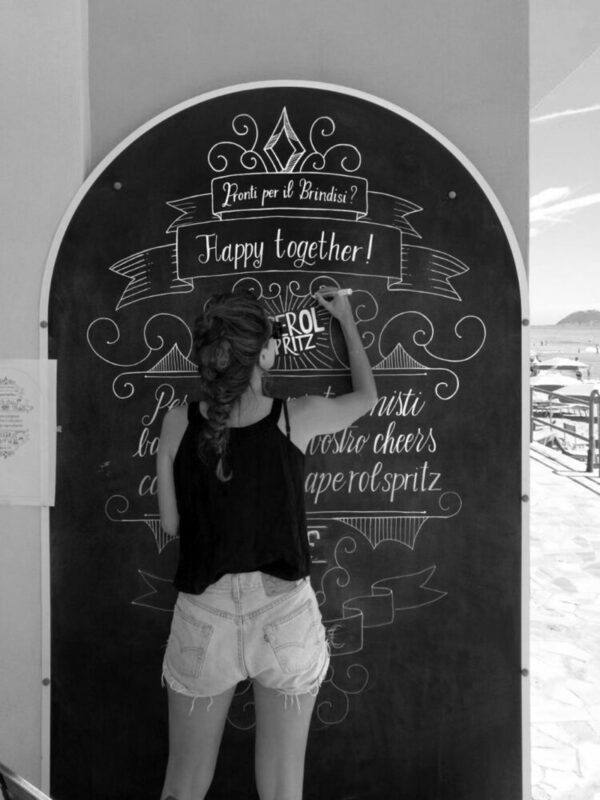 It’s specialise in graphic design, calligraphy, hand lettering, chalkboards and sign painting. Eloisa Libera is born in 1987. She graduated in Furniture Design at the Politecnico di Milano in 2009; in 2011 she graduated (master degree) in Industrial Design at the Politecnico di Milano. In 2010 she began hers adventure in the design world thanks to the design company Progetti srl, for which she designed some products. Since 2011 she has worked regularly for 7 years with ASPS design and communication studio in Milan. In 2016 she began hers way to a new passion: calligraphy. She attended some calligraphy courses, in particular copperplate, uncial and signpaint. In 2018 she opened hers creative studio in Milan.